Businesses today especially those that have their own websites, including online companies, do not only have a site dedicated for their sales and products but they also have a blog to help connect with their consumers. It will be quite easy to find a business blog because most company sites have obvious links from their page to their blogs. This is one way to increase traffic. Blogs can be informational to the consumers and setting up one for your company is actually a very good internet marketing strategy as it drives more audience into your page. Eventually, they might buy your products or try your services as well. Although setting up a blog is easy, there are still a lot of common errors that businesses commit when it comes to blogging. The blog has no clear goal. One of the most common mistakes in setting up a blog is not having a defined goal for the page. Many business owners just set up a blog because they have heard of its benefits in marketing but they really do not know what to put in it and how this can be helpful to their consumers. You need to ask yourself what you can put inside the page that will benefit your consumers. If your clienteles think that you have helped them in their concern, then they will begin trusting your brand and start patronizing your products. The blog is not formatted properly. 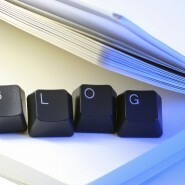 Proper formatting of a blog post is necessary for the consumers to read the content well. Always remember that these blogs are read through a computer screen and not minding the indentations, spacing and other necessary formatting options will just make your post a mess. Take the time to make shorter write-ups. It is also advisable to make use of bullets to break the continuity of the text. 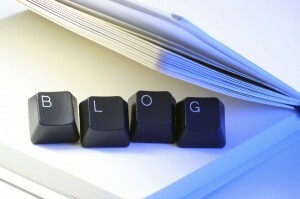 The blog is poorly maintained and not updated regularly. If you ask experienced bloggers, they will tell you that people will easily lose interest in your page if you do not keep on updating it. They will think that there is nothing much that you can offer and they might just transfer to another page. Not updating your posts will also have an effect in search engine marketing because search engines today would rather pick up fresh and recent pages when a search is made over the outdated posts.